Previous studies have reported detrimental effects of maternal depression on infant care but have not taken into account the potential confounding effects of co-morbid personality disorder. We aimed to examine the independent effects of maternal depression and personality disorder on infant care. Assessments with 200 mothers who had a diagnosis of depression, personality disorder, both conditions, or neither condition, when their infants were aged 2 months, included structured clinical interviews, an interview about infant care practices, and standardised measures of quality of the home environment, maternal involvement with the baby, maternal sensitivity and infant irritability. The presence of depression and personality disorder had significant independent detrimental effects on infant care practices and maternal involvement with the baby, while depression alone had a negative effect on quality of the home environment. 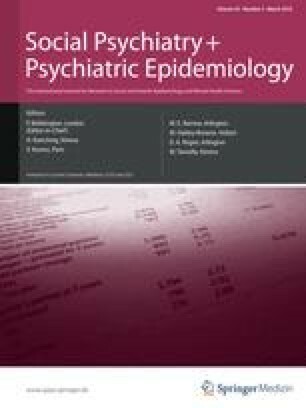 Women with depression are less likely to use recommended infant care practices only when they also meet criteria for co-morbid personality disorder. Professionals working with women and babies need to consider the particular difficulties that mothers with both personality disorder and depression may have in providing satisfactory infant care. The study was funded by the Foundation for the Study of Infant Deaths, with some additional funding from the Psychiatry Research Trust. We are grateful to the women who took part in the study and to Liz Hicks and the staff at Kings College Hospital for facilitating the recruitment of participants. We also thank Laura Jones for her assistance with recruitment and screening.